A Resident Bird Care Volunteer is trained to assist in caring for the birds that are permanent residents of CRC. A Resident Bird Care Aviary Caretaker is trained to assist in the upkeep of the enclosures for the birds that are permanent residents of CRC. Submit a RBC Feeder application HERE. This link is currently disable because no positions are available. Please check back frequently to see if there are new openings. 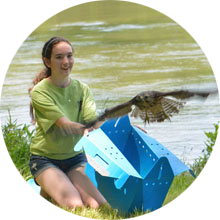 Submit a RBC Aviary Caretaker application HERE. 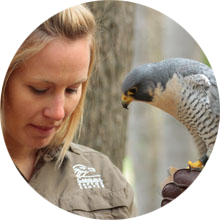 If you are under the age of 16 years old please visit the Junior Aviary Caretaker page for more information. When you submit an application you will receive a confirmation email that your application was received. You will receive a separate email from the Volunteer Coordinator within five business days on how to set up an interview with CRC Staff. NOTE: Individual, short-term, adult volunteer commitments are not available at CRC. Please contact Hands on Charlotte, a partner organization, for these types of opportunities. Court ordered community service volunteers are also not accepted at this time. 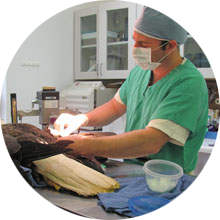 The volunteers in our RBC program are integral to helping with the care of our resident birds. Because these birds are still wild animals, we try to limit human and bird interactions. 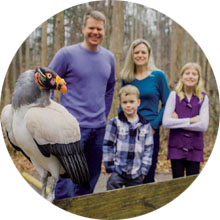 Regular RBC Volunteers and Aviary Caretakers handle no birds.